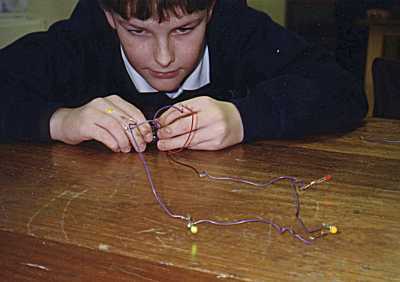 This workshop consisted of a talk on 'light' and its colourful phenomena, as well as a session making up a simple electronic circuit. Together we discussed rainbows, glories, moon bows and airlight as well as talking about the nature of light from the Sun, stars and planets. 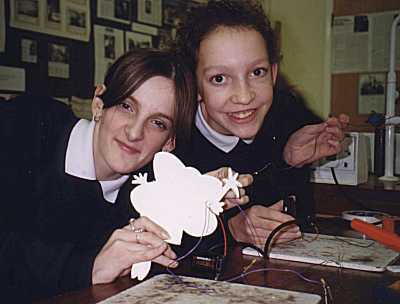 We moved onto how light can be made and used and ended with a session making up a simple series circuit of 4 LED's (light emitting diodes). 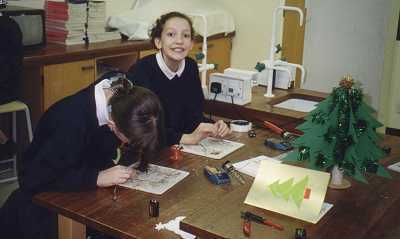 The pupils used their colourful circuit to decorate their own homemade christmas cards and christmas trees. The pictures above show two of the girls and their christmas card designs. 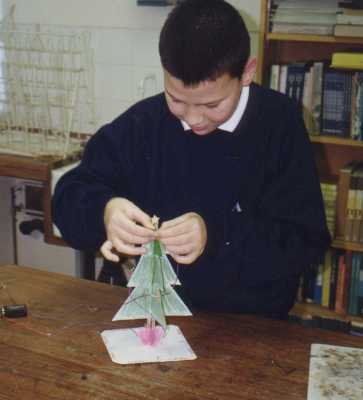 Below shows one of the boys wiring up a homemade christmas tree and another with the simple series LED circuit wired up and working, but not yet put into place.